These Skye Castles were photographed using 20 different advanced sky settings available in the Emerald Viewer. This is similar to the video I did showing how model Ryce Skytower's torso looked with different light settings but used Alex Bader's Sky Castles as the photography source. 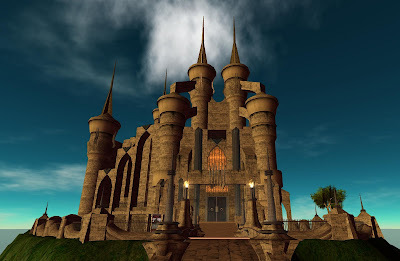 Please see the October issue of VR Style for the complete article and interview with Alex Bader, builder of Skye Castles in my 'from the Creative Director article. The castle above was photographed using Fog Mystic.